Our computer problems, as I more less expected, were so bad that the old girl finally breathed her last. We got ten years of faithful service, so I can’t complain. But now we have a brand new machine, built for the internet, and what a difference. So regular posting resumes now, with the weekly, (usually), theme set. While I was out of commission, I missed a theme week on Star Maker Machine that I would really have liked to be a part of. So here are some songs I was thinking of for the O Canada theme. The theme is so rich that none of these artists was covered. But everyone did a fine job. I live in central New Jersey, and we had a winter panic yesterday. A storm came in, and 18 inches of snow were supposed to arrive, along with dangerous winds. It did get awfully windy, but the final accumulation where I am was four inches. On the Canadian side of Lake Superior, storms like what we were supposed to get really do happen. One such storm featured heavy snow and hurricane force winds, and sank the freighter called the Edmund Fitzgerald in 1975. Gordon Lightfoot first caught my attention with this haunting account of what happened. Even given the lightness of our last storm, this has been the most severe winter I have seen in at least several years. So I am ready for spring. Red-Winged Blackbird is a beautifully expressed statement of faith that spring will indeed arrive. Posting it lets me share the talent of James Keelaghan with you. Keelaghan is perhaps best known for writing Cold Missouri Waters, which is a fine example of his storytelling talent. But this song does double duty, because it also allows me to honor another Canadian, David Francey, who wrote this one. Francey’s own performances are also well worth your time. Before we leave winter altogether, let me give a nod to an old English tradition that also made its way to Canada. Tales of ghosts and the supernatural are traditionally told at midwinter or Yule. Charles Dickens’ A Christmas Carol was one of a series of tales Dickens presented over several years. Similarly, the great Canadian author Robertson Davies wrote a collection of ghost stories which he had originally presented at an annual Christmas feast at the university where he was a professor. So, to me, Stan Rogers’ song The Witch of the Westmoreland fits squarely into this tradition. The knight in the song is never identified, but this one feels to me like an Arthurian tale. And Rogers nails the mood perfectly. I don’t mean to leave out female performers and songwriters. Canada is a rich source of these as well, starting with Joni Mitchell. Jane Siberry is one of my favorites. Both her lyrics and her musical settings often have a dreamlike quality. I often wake from a dream with the question. “What was that about?”, and I don’t always find a definite answer. But the contemplation of it often takes me somewhere I didn’t know I needed to go, and Siberry’s songs affect me the same way. Something About Trains is actually one of her more accessible examples. 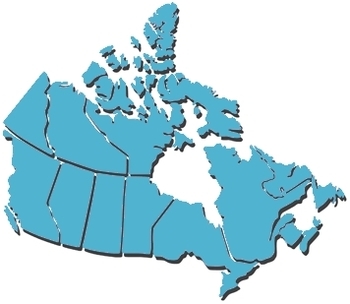 Finally, I wanted to end on a light note, with one of the funniest acts in Canada. The Arrogant Worms here propose an alternate national anthem. This was a few years ago, and the proposal didn’t take. Enjoy it anyway. We are currently having technical problems with our computer. I am hoping that this will be resolved soon. As soon as that happens, normal posting here will resume. Thank you all for your patience. I grew up and still live in New Jersey. 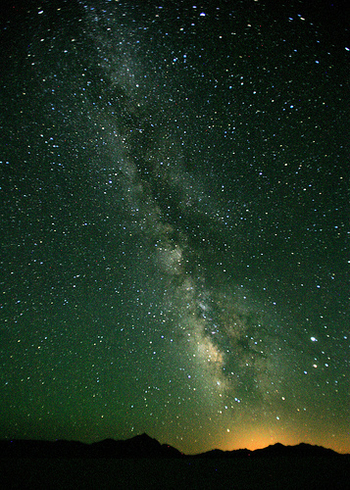 Our air is not the cleanest, so I never had a view like this of the night sky. Nevertheless, I was always inspired by what I saw. I wanted to be an astronaut, and explore the sky. This was the great adventure of my youth, when we as a country had yet to reach the moon. As I got older, I found out that, to be an astronaut, you had to be in the Air Force, and that was out of the question for me. So I moved on to other dreams. But the awe that the night sky inspired has never left me. And I can see now that I am not alone. Here then is a set of songs inspired by that sense of awe. Remember this one? Tasmin Archer had a hit with Sleeping Satellite in 1993. But now, she is all but forgotten. She did another album in 1996, and then not again until 2006, so it’s not all that surprising. But this one is definitely worth another listen. Archer equates the awe of the night sky with the rush of emotion that comes with a new love. Here, she has reached the point where she wonders if it all happened to fast. Musically, this one reminds me in all the right ways of the music Seal was making at the time. But lyrically, this one belongs to Archer alone. In olden days, sailors navigated by the stars. Kate Bush turns that inward, and proposes to navigate through love in the same way. Musically, this sounds to me as if it could have been produced by George Clinton. It’s a surprising sound for Bush, but she makes it work. And this one really cooks. I couldn’t resist including this one. Afro Celt Sound System began with the concept of finding common ground between Celtic and African music. Later, they would add other influences, but here is the original idea in its pure form. Electronics are used to smooth the rough edges, but are not intrusive. Dark Moon, High Tide is a fine example of their art. It seems to me that Mary Chapin Carpenter has created a character here who has what is known as “high-functioning autism”, or Asperger’s Syndrome. That may be a reach on my part, but the description of Joseph here fits. His life is lonely because he is “odd”. He forms a waitress’s name with coins he leaves her for a tip. And he can spend the entire night just watching the night sky. I applaud Carpenter for this spot-on and wonderfully sympathetic portrait. Having said that, I would love to know the actual background for this song. It feels like it was based on a real person. If anyone has more information, please share it in the comments. As night falls, and the stars come into view one by one, Emmylou Harris sings of a hoped for new love. Once there are enough stars visible, pictures form in the sky, and the resolution of this hoped-for romance will become clearer. Harris does not state any of this in her lyric, but, to my ears, it is strongly implied. Maybe I should write the resulting lyric, and send it to her. But I prefer to just listen to Jupiter Rising, and let my imagination wander. In a way, all of these reactions to the beauty of the night sky are about imagination. It must have been 1979. I attended a wonderful concert by Mick Moloney and Eugene O’Donnell. As I recall it now, this was my introduction to Celtic folk music, and what an introduction it was. Moloney plays banjo, guitar, and bouzouki, while O’Donnell is a great fiddler. Both were born in Ireland, and both found their way to Philadelphia where they met. And both, while staying in America, have dedicated themselves to preserving the heritage of Irish music as they learned it. Moloney in particular has done some very interesting projects lately, concerning his heritage and the immigrant experience in America. But I learned all of that later. In 1979, I only knew that I had found a new (to me) type of music that sang to me. The pair performed both instrumental dance pieces and songs. They had released a pair of albums at that time. Both musicians shared duties on both albums. O’Donnell’s album was entirely instrumental, and a great introduction to jigs and reels and such. Moloney’s album had songs sung by Moloney, alternating with instrumental pieces, but where the fiddle was not necessarily the featured instrument. Both albums were fine documents that helped me recall a great show. But the songs on Molney’s album struck me particularly. John of Dreams was one of those, a beautiful lullaby. If the melody sounds familiar, it is a folk melody that Tchaikovsky adapted for his Pathatique Symphony. The words are by English folk singer Bill Caddick. But Moloney and O’Donnell make the song sound thoroughly Irish. There is an instrument which, in English, is called a talking drum. Among the Yoruba people of Nigeria, it is believed that a master player can give a talking drum an actual voice. 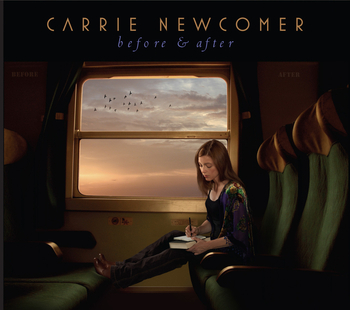 On Before & After, Carrie Newcomer gets a similar effect in places from the entire band. It’s a remarkable sound. It is a voice and a pulse combined, and it is what a heart would sound like if it could talk. Newcomer sings in a warm alto, mostly quiet or quieter. 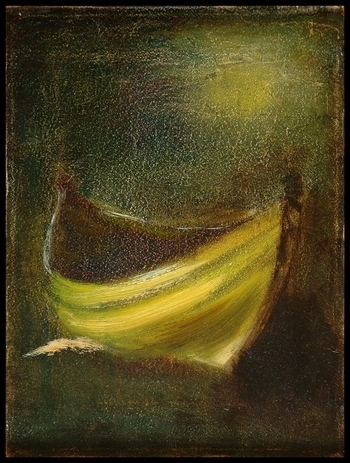 She is able to get the emotion of her work across without having to raise her voice, and she is a master of subtlety. She can be sweet or tender, but she can also be strong in her beliefs, but never strident. Her band supports her with an appropriately light touch, but they vary the textures just enough to make this an interesting listen. There is wonderful string work, from violin, viola, or cello, but never all of them at once. There is a basic band of drums or percussion, bass, keyboards, and acoustic guitar, with some electric guitar added in for color. But the sound is mostly acoustic. Newcomer doesn’t usually need much help here on vocals, but she sometimes likes to blend with another singer on the chorus. So Krista Detor, Michael White, coproducer David Weber, and Mary Chapin Carpenter each take a turn. And she gets a gospel effect on one song, and something that reminds me of Paul Simon’s Graceland album on another, by using chorused background vocals. Newcomer does a good job of presenting varied subjects in the songs here. There is one love song, of course, and it’s a good one. Hush presents love at the point where one person instinctively knows what the other needs. The song is wonderfully tender. There are a variety of songs about finding your way through life. Before and After is about coming to terms with a pivot point in your life, a time when something happens that changes you ever after. But Newcomer is interested here in what happens once you have had time to digest the experience. There are other times when you have an experience that seems significant, but you can never quite put your finger on why; I Do Not Know Its Name details a string of these, and they seem to add up. This is one of those moments I mentioned earlier, where the band becomes one percussive voice. Coy Dogs are half dog and half coyote; Newcomer uses their split nature as a metaphor for times when our wild and tame urges are in conflict. The musical setting makes this tension palpable. Then there is the sweet nostalgic feel of I Wish I May, I Wish I Might, which is about state fairs in Indiana. And the album concludes with a “bonus track”, A Crash of Rhinoceros. Newcomer should include this one if she is ever asked to do a children’s concert, and I mean that as a compliment. This one has a wonderful sense of whimsy, as it tells of Adam and (mostly) Eve naming the animals. Special mention should be made of the song Do No Harm. Back in 2007, Newcomer was involved in a project called Wilderness Plots. The short stories of Scott Russell Sanders were adapted into a stage work which featured new songs by Newcomer and several other Indiana-based songwriters. The stories concerned the settling of the Ohio Valley. The Wilderness Plots project resulted in a stage show, an album of the songs, and there was even a PBS version shown on local TV stations. For Do No Harm, Newcomer has returned to the stories of Scott Russell Sanders, to tell a harrowing tale of the arrival of Quakers in the region. This seems to me to be the most heartfelt song on the album. So Before & After is a set of beautifully arranged and realized songs. Newcomer explores an impressive range of subjects, and nails it every time. This one comes out on February 23. Make sure to grab it when it does.